Many people exercise heavily before travel (ie to get that beach body), and then whilst travelling let it slip! I would say I’m guilty of this myself. Luckily though if you do want to stay fit while you travel there are plenty of ways you can do so. 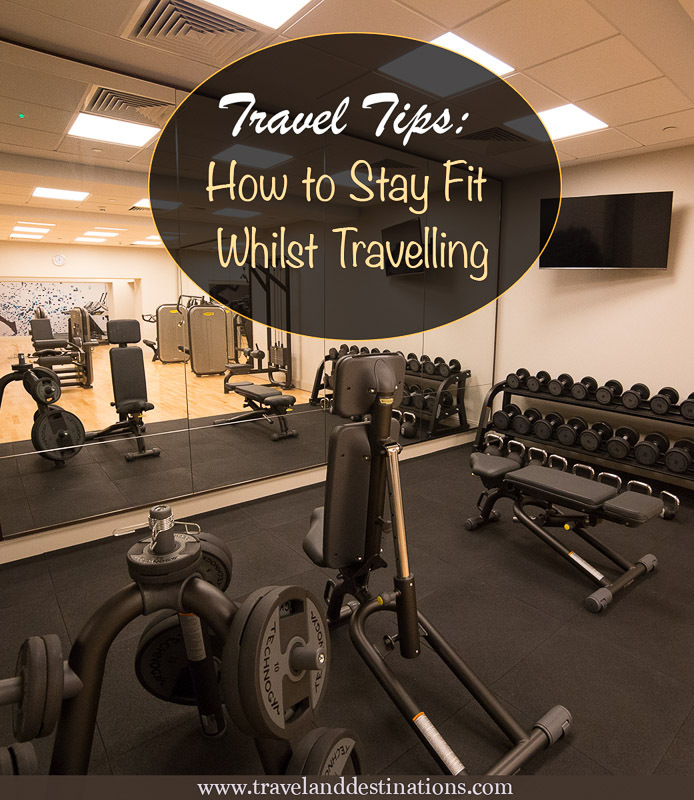 Here are tips and ideas on how to stay fit whilst travelling. Have you ever tried running on a beach? It’s actually really tiring! The sand acts as a resistance, meaning you’ll use a lot more energy than if you were running on normal ground. You could also try running through shallow water on the beach. This may keep you cool and wear you out! There are lots of options for workout DVD’s and for all different types of workouts such as Zumba , Yoga, Pilates, Insanity Workout etc, and these would be a great way to stay fit whilst you travel. Just make sure your hotel has a DVD player or you take a laptop so you can play them. You may also be able to download workout DVDs. Youtube now has some excellent videos and workout channels. A good one, in particular, is the Yoga series yogawithadriene which is very professional and also motleyfitness and popsugartvfit. Of course, you can’t really watch videos on Youtube without a good connection, so check your hotel before you travel. Do you know of any other good workout/exercise accounts on Youtube? Please let us know in the comments. 7 Minute Workout provides body weight exercises and has features such as a 30-day challenge. I use this app and it’s pretty tough! Want to find out more about fitness workout apps, head to www.tomsguide.com…best-workout-apps. Do you already know of any awesome apps that people should download? Please leave a comment. Staying in a hotel with a pool can sometimes be a luxury (especially in cities), but if there is a pool then try and spend at least half an hour per day doing lengths or treading water. The best pools would be those that are at least 1.5 meters deep and of a good length. To find hotels with a pool you may be able to put a filter on your search such as available on Booking.com. Although there isn’t that much workout equipment that’s portable, you’d be surprised at how much you can do with small equipment such as resistance bands , small weights etc. Again look on fitness websites and on Youtube for some examples of exercises that you could try. Some hotels offer classes such as Yoga, Pilates, Water aerobics etc, and by doing the class with others this will give you extra motivation to workout harder. Resorts and “retreat” type hotels will be a good option when searching for this and may be more available in exotic, remote or more upscale hotels. One of the easiest ways to stay fit whilst travelling is to just go on an active holiday. Skiing/ snowboarding holiday – A week or even a weekend skiing and snowboarding will burn off tons of calories and a great way to stay fit whilst also having fun. Hiking and mountain climbing – Another great way to stay fit and enjoy the fresh air and views whilst doing so. Scuba diving – Swimming below the surface with the fish is a great way to stay fit and maybe also to de-stress as the underwater scene can be quite peaceful. Surfing – Surfing is also a great way to stay fit although quite tricky if you haven’t done it before. There are plenty of other active holidays available. Can you think of any others? Please let me know below! Not every hotel has a gym and those hotels that do may be luxury hotels and more expensive. When searching for a place to stay you can sometimes add search filters such as ‘fitness centre’ available on Booking.com. To be fair most hotel gyms even at luxury hotels are quite basic, and will unlikely be as good as a dedicated gym, but it’ll be better than nothing. Sometimes local gyms allow day access too so that may also be worth considering. Whenever possible try and walk between places when you travel (ie at your destination), rather than use public transport. This can be hard in some cities, but you’d be surprised, even destinations like London is fairly walkable, and you can walk between many of the major landmarks and also along the river. By walking you’ll see so much more of the destination than you would if you were always travelling via the cities underground subway. Of course don’t take risks, swim too deep, or beyond your capabilities, but if you are a strong and confident swimmer then swimming in the sea will be fantastic exercise. Swimming against the waves will use tons of energy and is a sure way to keep fit. A last and a quite creative tip is to consider purchasing large water bottles such as those that come in 5 Litres and filling them with water or sand. Having that much weight will make them quite heavy. If they come with good handles you may be able do exercises that you’d normally do with dumbbells. Hey Buddy!, I found this information for you: "Travel Tips: How to Stay Fit Whilst Travelling". 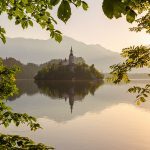 Here is the website link: https://www.travelanddestinations.com/travel-tips-how-to-stay-fit-whilst-travelling/. Thank you.